Not sure where to stay in Disneyland? Unlike Disney World in Orlando — which offers more than two-dozen onsite properties — Disneyland only offers three properties, and families can also find some good choices just outside of the park. Consider these options for where to stay at Disneyland on your family vacation. The three official properties at Disneyland are Disneyland Hotel, Disney’s Grand California Hotel & Spa and Disney’s Paradise Pier Hotel. 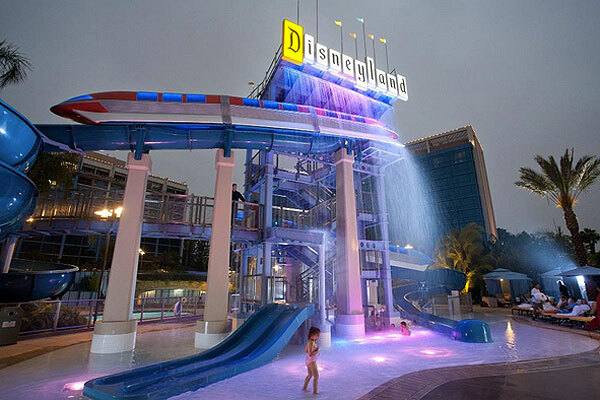 All three hotels are located next to the theme parks and provide early and easy access into the parks. Unveiled just three months after Disneyland opened in 1955, Disneyland Hotel has nearly 1,000 rooms and a 5,000-square-foot swimming pool. It also has a few onsite dining options, including character breakfasts at Goofy’s Kitchen. This hotel is comparable to a Moderate Resort in Disney World. The more luxurious of the properties, Disney’s Grand Californian Hotel & Spa could be considered a Deluxe Resort, and can be twice as expensive as the other Disneyland properties. 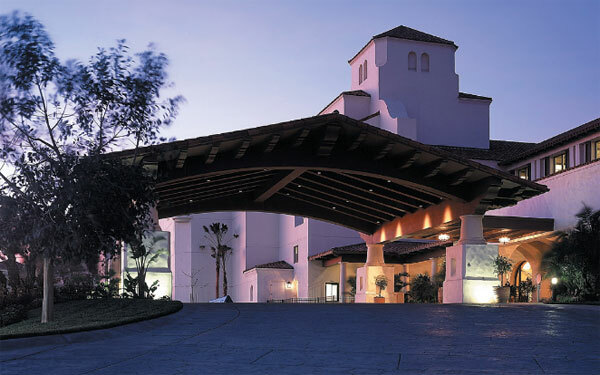 Offering a rustic, lodge-style environment, the resort provides views of the fireworks. 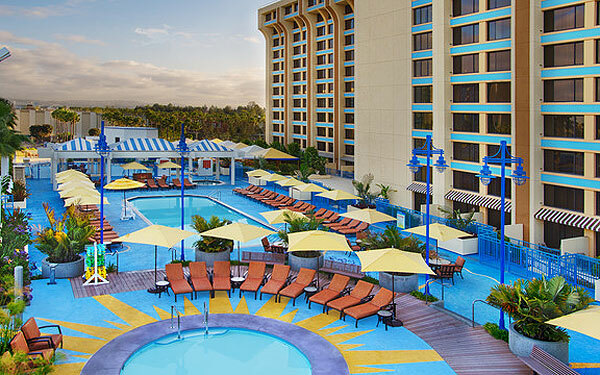 The smallest of the onsite properties in Disneyland, Disney’s Paradise Pier Hotel is a high-rise with a rooftop swimming pool and less than 500 rooms. 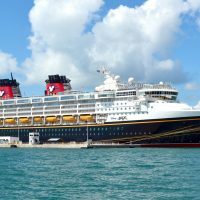 Although the Disneyland properties are not broken down into the same categories as Disney World hotels, this hotel could be considered a Value Resort. Disneyland is located in Anaheim, California, in Orange County. As the theme parks are housed within city blocks, there are a number of Anaheim hotels and motels that surround the parks and are within walking distance. Even when you can see the parks from your window, a shuttle service is available, if you would prefer not to walk. 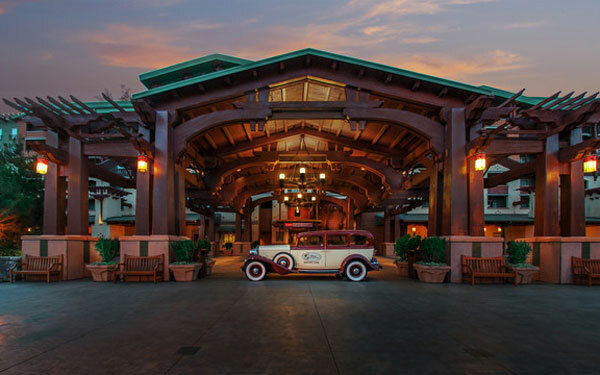 True to its name, the Courtyard Anaheim Theme Park Entrance is just a five-minute walk from the entrance to Disneyland! Better yet, the hotel — which opened in 2015 — offers an outdoor water park, bunk bed suites, and prime views of the fireworks. One of the oldest hotels in the area, located directly across the street from Disneyland, the Candy Cane Inn remains popular due to its budget-friendly accommodations. The family-owned property provides free breakfast and free parking, and will even let you park there after checking out. 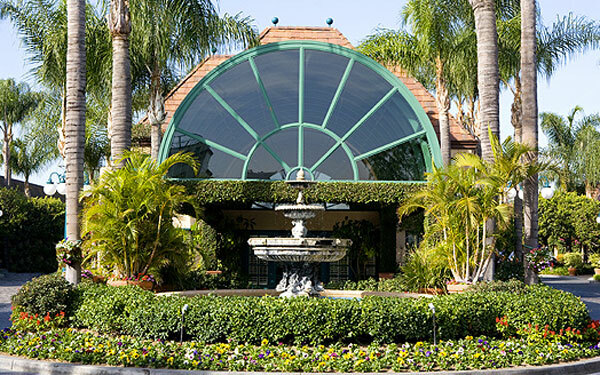 Another popular hotel, also across the street from the theme parks, is the HoJo Anaheim. 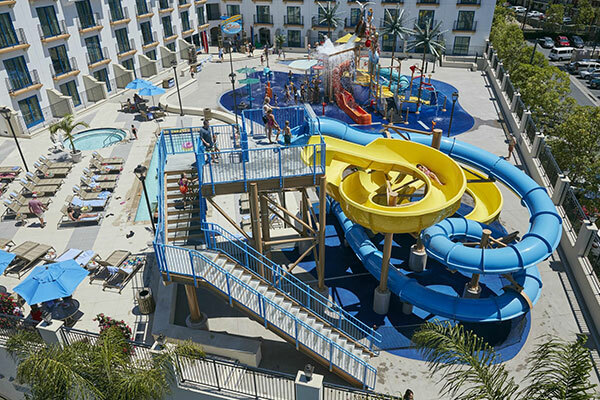 Not your traditional orange-roof motel, this property features high-rise buildings surrounding a water playground the kids can enjoy when they need a break from the theme parks. 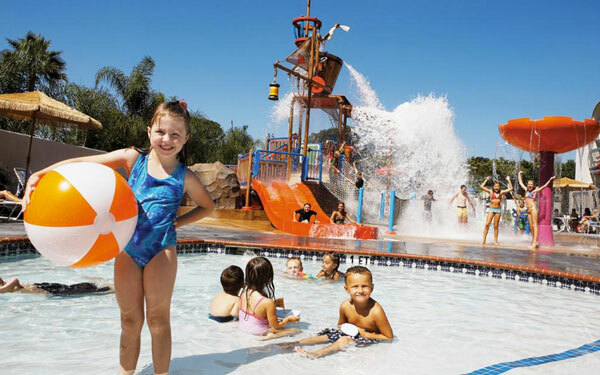 Disney and Anaheim are located off of Interstate 5, and are about 20 minutes from the nearby beaches. Although you won’t be able to walk to the theme parks, a beach resort may be preferable to your family if you’re not planning to spend your entire vacation at the parks and want to enjoy some of the Pacific Coast sunshine. There are properties with beach views and direct access, expansive pools and free shuttles to Disneyland. 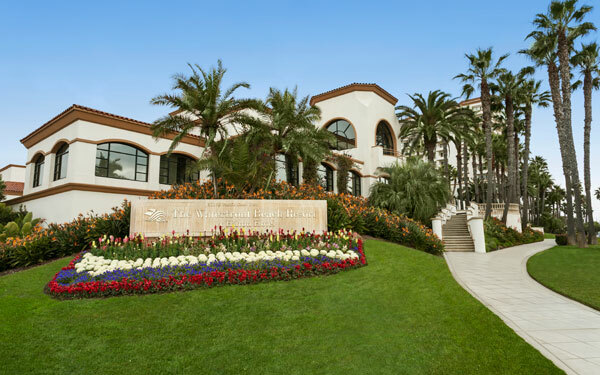 Hyatt Regency Huntington Beach Resort & Spa overlooks Huntington Beach and features a number of swimming pools, onsite dining, family activities, and a supervised kids’ program for children ages 3 to 12. Located next door to the Hyatt, the The Waterfront Beach Resort, a Hilton Hotel offers the same great beach access, bike rentals to enjoy the 10-plus miles of trails, accommodations featuring balconies and ocean views, outdoor fun and even laundry facilities.